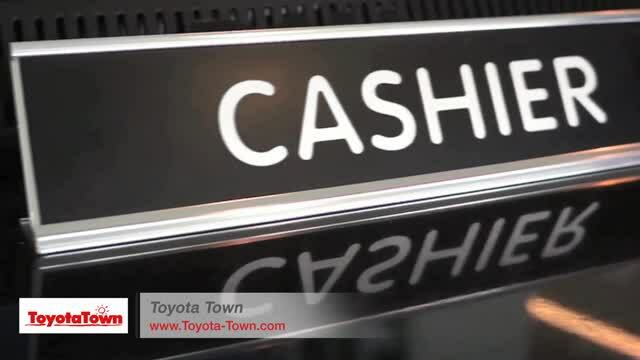 A Toyota Pre-Owned Certified Vehicle is, first and foremost, a Toyota. From a meticulous 160-point inspection to a free tank of gas, a Toyota Certified Pre-Owned Vehicle will provide you with unrivaled peace of mind and years of satisfaction. You will be provided with a copy of the vehicle Car Proof Report, a full disclosure of all available service history and full tank of fuel, and a first oil change compliments of Toyota Town. All of our vehicles will have at least 50% tire tread and brake pad material remaining - plus all Toyota vehicles receive genuine Toyota parts! ToyotaTown vehicles also come with windshield stone chip repair plus Protector Plus vehicle etching included in our No Hidden Fee pricing as well as lifetime brake pad parts replacement coverage on Toyota vehicles. To ensure your complete satisfaction, we offer a 7 day/1500 km exchange privilege. These vehicles surpass the highest standards! This program was born from Toyota's commitment to environmental consciousness and its mission to find balance between nature and industry. 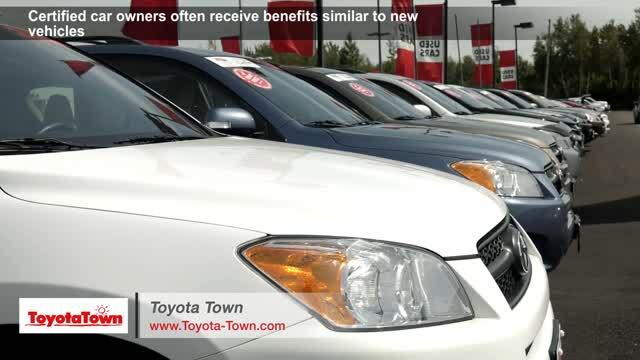 When it comes to ownership, the Toyota Certified Pre-Owned Used Hybrid program offers the same benefits as the TCUV program. A CarProof History Report, the availability of Certified Used Vehicle rates and 12 months of Roadside Assistance. Therefore, a Certified Pre-Owned Used Hybrid comes with the same peace of mind as the TCUV program.